A BAI report is heavily critical of the procedures followed by the programme makers who libelled Fr Kevin Reynolds and RTÉ on whole over a programme broadcast nearly a year ago. RTÉ HAS BEEN fined €200,000 over its breach of broadcasting regulations in relation to the Prime Time Investigates Mission to Prey programme. The Broadcasting Authority of Ireland (BAI) said that, after carefully considering all relevant information and the submissions made by both RTÉ and the programme makers, it had concluded that RTÉ had “seriously breached” two sub-sections of the Broadcasting Act. The BAI investigating officer Anna Carragher said the programme was “not fair in that it broadcast serious, damaging and untrue allegations” about Father Kevin Reynolds. Her report said that the programme had claimed that Reynolds had abused a teenage girl in Africa in the 1980s and that the girl had borne a child – in spite of denials that this was the case and despite Reynolds’ willingness to take a paternity test to establish that he was not the father. The report stated: “Given the fact that Fr Reynolds is an ordained priest, currently in ministry, the impact upon his reputation was particularly severe,” and added that this had breached Section 39 (1) (b) of the Act*. The investigating officer said that the means of programme-making, including the use of secret filming and doorstepping, “unreasonably encroached” on Fr Reynolds’ privacy. The report noted a significant failure of editorial and managerial controls within RTÉ which failed to “anticipate, monitor or control the possibility of such a breach occurring and which failed to recognise the grave injustice which could be done to Fr Reynolds”. It was noted that RTÉ had accepted that in its broadcasting of seriously defamatory allegations against Fr Reynolds, it had given rise to breaches of sections of the Act. It also noted that RTÉ had co-operated with the investigation, expressed its “deep regret” over what had happened, and accepted that there was no truth whatsoever in the allegations against Fr Reynolds. Relevant individuals associated with the programme declined to make submissions to Carragher but reporter Aoife Kavanagh, executive producer Brian Pairceir and current affairs editor Ken O’Shea did attend meetings with the investigator. Producer Mark Lappin, who has since left RTÉ, responded to written questions. The report details that discussions surrounding a programme of this nature being made occurred in October 2010 and that reporter Aoife Kavanagh had travelled on a research trip to Africa in January 2011. Carragher raised “considerable concerns” with the fact that apart from emails, there was no documentation of that research trip. Carragher said that corroboration of the allegation against Fr Reynolds from an unnamed source was not subject of “good journalistic practice”. The report adds: ”Given the serious nature of the allegation I would have expected Ms Kavanagh to have been a great deal more rigorous in her exploration of her source’s credibility” as well as what she said was “the motivation and trustworthiness of the individual”. Carragher details her conversation with Kavanagh about her questioning of the woman at the centre of the allegations, Veneranda Mudi, and why she did not probe the veracity of her story during the course of the interview that was filmed. Kavanagh said she had probed these issues before the recording but did not have the notes. “I had notes and do you think I can find them, no I can’t,” Kavanagh told the investigator according to the report. This is one example of the report being critical of the extent of note-taking within the production team which was either non-existent or not adequate. The report said there was a failure among editorial staff to question colleagues and an assumption that staff were familiar with editorial guidelines when they were not. Fr Reynolds’ offer to take a paternity test was not considered genuine by the production team and did not make material change to the allegations as far as they viewed it. The programme cost a total of €137,000 to produce, a figure which is at the upper end of the average cost of a programme for the now defunct Prime Time Investigates format. Since the BAI completed its investigation, current affairs editor Mulhall has retired, Lappin has moved to CNN, and Kavanagh, O’Shea and Pairceir have been transferred within RTÉ and are subject of an external investigation that will conclude shortly. The Authority accepted that RTÉ had ultimately acknowledged its error and that steps had been taken to prevent further breaches of its obligations under the Act. The report said that there had been no gain – financial or otherwise – made by RTÉ as a consequence of the breach. 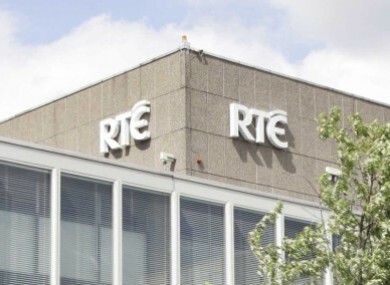 However, the BAI said it was “a source of regret” that RTÉ did not choose to waive its claim to privilege in the solicitor/client relationship between itself and its in-house legal staff, saying that “such an approach would have assisted a greater understanding of the extent of the advices available to the broadcaster and of the role they played in RTÉ’s decision to transmit the programme”. The Authority said it regretted that information regarding the process entered into the public domain, but added that it was satisfied that there had been no prejudice to anybody concerned in this investigation or determination. Email “RTÉ fined €200k over breaches of broadcasting regulations in Mission to Prey ”. Feedback on “RTÉ fined €200k over breaches of broadcasting regulations in Mission to Prey ”.